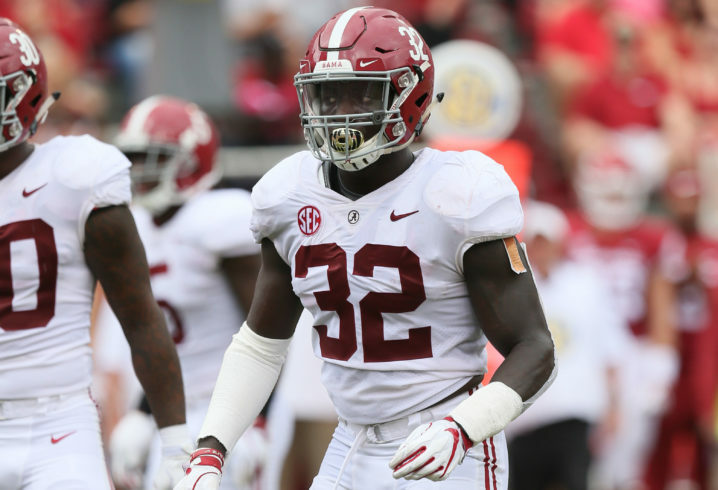 TUSCALOOSA, Ala. — When the Butkus Award semifinalist list was released, Alabama linebacker Mack Wilson tweeted that he and running mate Dylan Moses were the best linebacker duo in the country. It’s hard to argue with Wilson’s assessment, as he and Moses are the only teammates on the semifinalist list for the award given to the nation’s best linebacker. Wilson and Moses get another opportunity to prove they’re the nation’s best linebacker tandem on Saturday, when No. 1 Alabama faces No. 3 LSU in Death Valley for control of the SEC West. Kickoff is scheduled for 8 p.m. on CBS. Moses and Wilson are among 10 linebackers named to the Butkus semifinalist list. Foster (2016), C.J. Mosley (2013), Rolando McClain (2009) and Derrick Thomas (1988) are Alabama’s previous Butkus Award winners. Wilson was dominant down the stretch for the Tide last season and has carried that late success over to his junior campaign. He has totaled 34 tackles, including 2.5 for loss (minus-5 yards) and 1 sack (minus-1 yard), while contributing 4 quarterback pressures and 3 pass breakups this season. 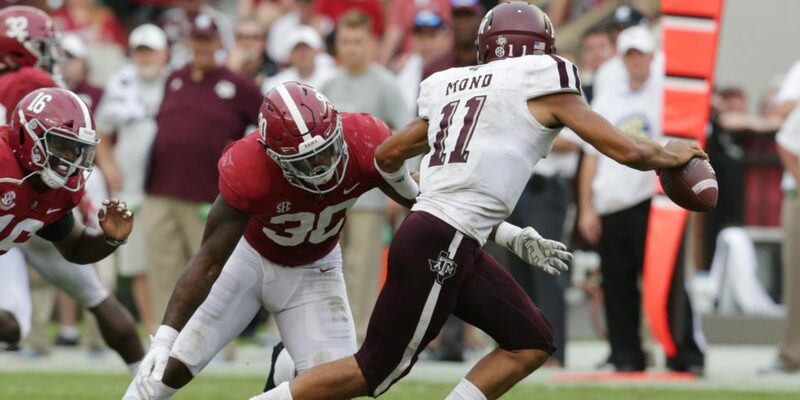 A versatile athlete who has worked on the inside and outside during his two seasons at Alabama, Moses has recorded 42 tackles to rank second on the team. He has totaled 7.5 tackles for loss (minus-26 yards) and 2.5 sacks (minus-17 yards) as a sophomore while adding a pass breakup, a forced fumble and a quarterback pressure in 2018. “I’ve always known Dylan to be a great athlete from just growing up seeing him get offers in junior high and stuff like that,” Wilson said. “I knew that he had potential. He was a running back of course, then he transferred over to linebacker. The sky was the limit for him after that. Alabama is stocked with Louisiana natives eager to put on a show against their home-state team. But Wilson has seen one teammate talking about the game a little bit more. “Their” works here. He’s using “bona fides” as a noun belonging to the two players. If it had been just one player he was referring to the sentence would be “The Butkus Award semifinalist gets one more opportunity to prove his bona fides…”. See? “Bona fides” in that sentence belongs to the subject, the Butkus Award semifinalist, so “his” shows possession like “theirs” shows possession in the original sentence. Next up on Sesame Street, the letter “L”. In a football context it can be used to describe what LSU will receive Saturday night. It’s opposite is “W”, what Alabama will take Saturday night. Cody, I hope Alabama slaps LSU down as violently as you just schooled this corndog. I hope so as well (I’m rarely as cocky as that last part makes it seem). And thanks but I can’t take all the credit. He made it so easy. LSU wont know what hit them when they wake up sunday morning. What time is Orgeron scheduled to go back on the hot seat? Well duh, they’re both former 5 stars. I usually like Kirby Smarts posts but that one was a total miss. No humor but a ridiculous comment none the less. Not all 5 stars work out while some 3 stars move on to the NFL. That is why rating is a crock. So many intangibles are involved. Any player with talent, grit, work ethic and the right coaching can excel. Not all 5 stars have the right drive. To assume they are great based on someone else opinion is as stupid as assuming a tall person plays basketball.